I love Harper Lee’s To Kill a Mockingbird, and have for some decades now, ever since I first read it. What I also love is that Harper Lee knew when to call it a day. Ralph Ellison also wrote one brilliant, landmark novel, Invisible Man, but spent sixty years and the rest of his life generating thousands of pages of a posthumously-published follow-up. That book did nothing to expand to expand on Ellison’s reputation as a writer or add to the conversation he indelibly engaged with in Invisible Man. What was published, finally, remained an unfinished work, but it was at least a thing that Ellison had been working on. In the same way, Elliott Smith had been working on From a Basement on the Hill at the time of his death. It had been in progress. Not so with Go Set a Watchman. I freely admit that I am projecting here, but I don’t believe Harper Lee wanted this manuscript published. Jezebel did a solid rundown of the controversy that has swirled around the aged Ms. Lee. Bit if you Google “Harper Lee controversy” at the time of this writing, what you get are a bunch of news headlines saying “Readers willing to overlook controversy.” We shouldn’t. I don’t believe the publication of this book is anything other than a money-grab designed to benefit people who are not Harper Lee. If Harper Lee had wanted to tell this story, she had sixty years to do it, but she chose not to. And I don’t for a second believe that had she wanted us to hear the story of Jean Louise’s early adulthood, she would’ve done so in this way, without revisiting the initial text and making changes that brought it into continuity with To Kill a Mockingbird. Look, I’ve written chiefly screenplays for the last decade and a half, and I’ve been through “development Hell” more times than I care to count. I’ve done over twenty drafts on a piece, and that is not exceptional. A first draft can differ so widely from the final product that they are nigh-on unrecognizable as family. Again, I own that I am projecting my experiences onto this situation, but there is no assumed continuity between the first draft of a work and it’s final, published form. We’re not creating comic book continuities here. 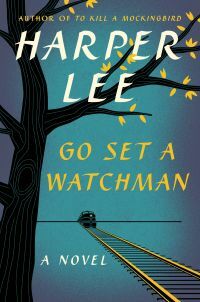 When Harper Lee killed Jean Louise’s brother Jem in a clause in the opening paragraph of Go Set a Watchman, he wasn’t the Jem we met in Mockingbird. Not the one who tried to save Scout from a rabid, drunken Bob Ewell, and whose life in turn was saved by Boo Radley. That Jem came later, and she may or may not have wanted to dispatch that Jem in such an offhand fashion. Maybe she would have. We’ll never know. But the biggest controversy is over the portrayal of Atticus Finch in Watchman. The New York Times runs that down pretty effectively. But like Jem, the Atticus on display is not the one we met in Mockingbird. That Atticus was crafted by Ms. Lee and her editor, Tay Hohoff, and Ms. Hohoff’s granddaughter is on record saying that the publication of Watchman is “disrespectful.” I agree. To attempt to give the baggage of this first-incarnation of Atticus to the one that we all know and revere disrespects both the character of Atticus and the writer who worked, and labored, and crafted to create him. I think Harper Lee was happy with the book she crafted and was released as To Kill a Mockingbird. What writer wouldn’t be? She seemed content to leave it to speak for her, and I choose to respect that. So I won’t be getting this book. I know one lost sale won’t mean anything in the grand scheme, but I thought it was important to make the argument that too few others seem to be making, and stand up and say what I think is right. It’s what Atticus Finch would’ve done if he were just some dude in a folk band.